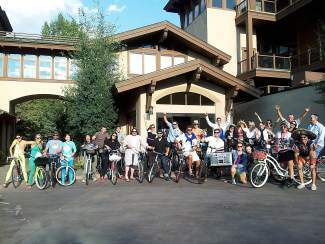 Join the third annual Vail Villages Cruiser Crawl on Wednesday, June 11! The crawl will start at The Fitz (5-6 p.m.) followed by stops at Vail Chophouse in Lionshead (6-7 p.m.) and end at Atwater on Gore Creek (7-8 p.m.). There will be a Trek cruiser bike giveaway! You must be present to win and check in at the final stop! There is a costume contest with the theme âTiny Hats." For more information, contact Nicole Whitaker at 970-343-6115 or visit www.thefitzlounge.com.